Looking for an awesome Omaha day trip? Come on down to the Freedom Park and Naval Museum for a day filled with history and adventure. With two major displays and guided tours, there is no reason not to visit. To learn more, read below! Freedom Park is an outdoor park and United States Naval Museum in Omaha, NE. 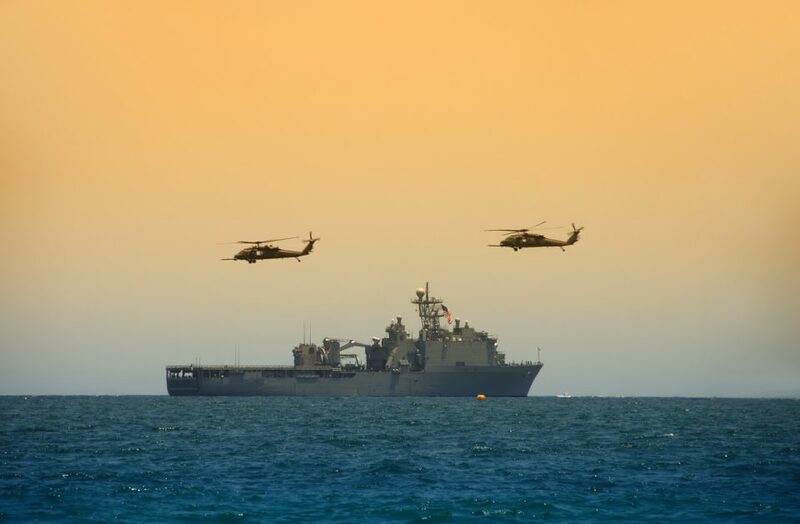 The park is home to the USS Marlin, the USS Hazard, the only Admiral Class Minesweeper left in the world and the only complete collection of USN anti-aircraft gun. Freedom Park has a large collection of jets, a helicopter, many rocket launchers, missiles, and several other military vehicles. As naval museums go, this Freedom Park is one of the most incredible! The museum is extremely easy to get to, being only minutes from downtown Omaha. Freedom Park promises to deliver an unexpectedly interesting, exciting, and adventurous afternoon! Visit Freedom Park at 2497 Freedom Park Road along the Missouri River, in Omaha Nebraska. Located just a few minutes from downtown Omaha, Freedom Park is an awesome day trip! Both tours and admission at Freedom Park are FREE. There are guided tours from 10-3 Friday, Saturday, and Sunday until the weather makes touring difficult (around October). The park is open daily from 8 am – 3 pm. With free admission, and tours how can you afford not to visit? USS Hazard – The USS Hazard was launched October 1, 1944. The Hazard was designed with both wire and acoustic sweeping this allowed the ship to double as anti-submarine warfare platform. The Hazard first served as a companion ship from San Francisco to Pearl Harbor. The ship’s slogan was “No Sweep, No Invasion.” The USS Hazard was decommissioned in 1946. The Hazard is the only Admirable class minesweeper left in the United States! The Hazard received three battle stars for World War II for honorable service! USS Marlin – The Marlin was launched on October 14, 1953, and is one of the smallest operational submarines ever built for the Navy! The Marlin operated as a target and training ship for over 10 years! On May 15, 1956, the submarine deployed to Guantanamo Bay for services to the Fleet Training Group. In 1965, The Marlin joined a fleet of subs participating in mine warfare maneuvers. The Marlin was decommissioned on January 31, 1973, and moved to Freedom Park! On your way home from Freedom Park, make sure to stop by O’Daniel Honda. Come browse our huge selection of new and used vehicles. Our auto care experts are here to answer all your questions! At O’Daniel Honda, we pride ourselves on excellent customer service the first time around! Call us today, or come in for a test drive. We look forward to seeing you soon!